Anyway, I pretty much finished it except for the armhole trims, but I just wasn’t feeling it. The yarn is Habu laceweight cashmere, held double – I think I had bought 5 tiny skeins. It wasn’t quite enough, and the body was too short. But the yarn was super duper soft and light, so I started ripping. I took out the shoulders (three needle bind off) and ripped out the upper front and back, then looked at it and thought…there’s all this knitting in this piece, can I turn it into something else? It has a bit of waist shaping, but I decided it would make a perfectly lovely plain cowl. Ravelry to the rescue again – I didn’t know what needle size I’d used but I actually had it on the project page! Whew. So it’s back on the needles now and I’ve knit an inch or so. 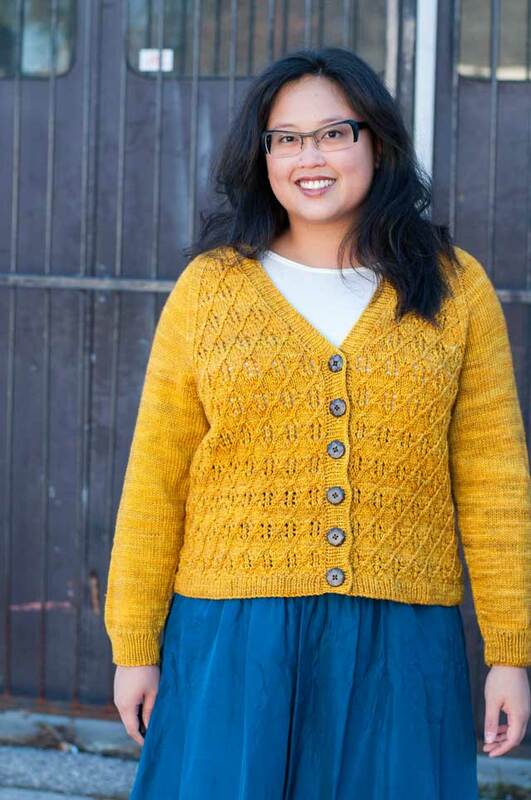 I’ll go until I’m almost out of yarn, then knit a couple garter ridges before binding off. I’m really inspired by Alabama Chanin stuff right now (I’ve been devouring the third book and plotting my summer sewing) so I might actually do some embroidery or other embellishment on the fabric when it’s done. I was pretty surprised at myself for continuing on with this yarn, after all the intention was to have fewer projects on the needles! 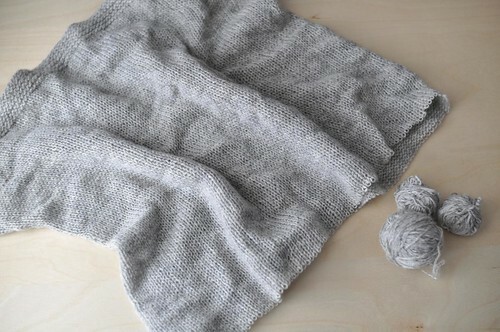 But the other projects I ripped out were pretty pleasing on that end, and who doesn’t need a cashmere cowl? P.S. I did an interview with Michelle Treese last week – you can read it here! 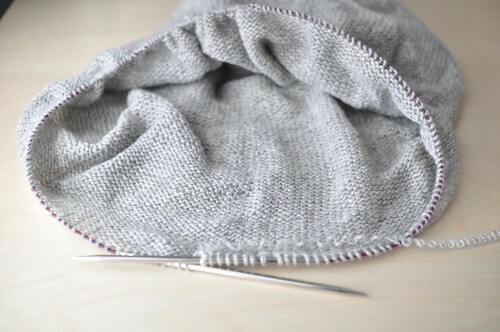 I love the idea of a cashmere cowl. Sounds wonderfully decadent. Great interview, thanks for sharing it with us. 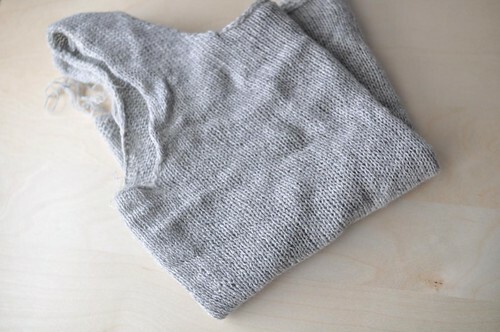 Also really love the idea of the perfect dove grey cashmere cowl. Hope you’ll post pics once you finish it. You did the right thing. I think a cashmere cowl sounds like a very, very good idea. What a great way to reinvent! I love Alabama Chanin style. Thanks for the reminder about Rav notes. I’m stuck in the dark ages with all my rough notes in Hilroy notebooks. Heaven help me if the house should burn down; all my work would go up in smoke! Such a great idea to turn your project into new life!